The North Carolina Court of Appeals issued an interesting opinion in January 2019 on the nature of timber rights held by a life tenant. The case, Jackson v. Don Johnson Forestry, Inc., COA18-354 (January 15, 2019), concerns timber broker and buyer liability for trees harvested on contract with an owner holding only lifetime rights in the land and its timber. 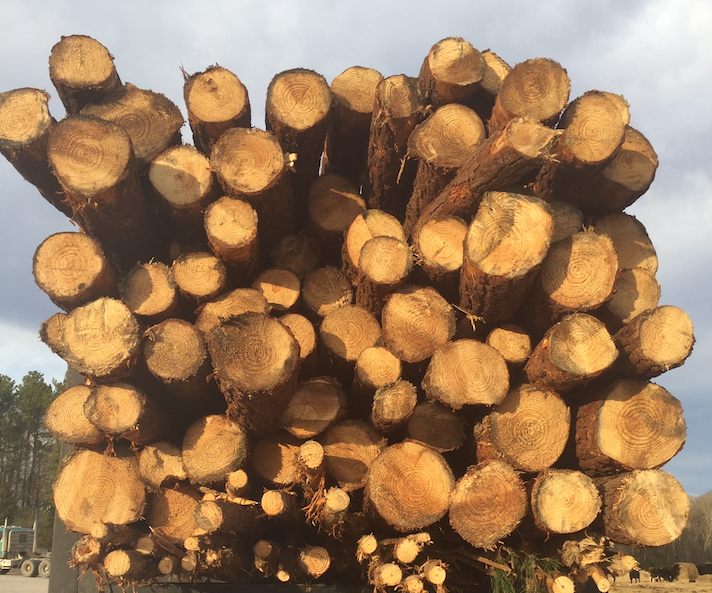 The case illustrates the settled principle of the limited nature of harvest rights a life-tenant has in their timber, and the caution brokers and buyers must exercise in purchasing timber. The Facts. A Bertie County landowner died in 1982. His will devised to his lineal descendants his considerable land interests as follows: To his five children he devised a lifetime interest in the land, with the remainder to his grandchildren per stirpes. In other words, upon the death of his last surviving child, ownership of the land would vest in his grandchildren outright. (One presumes that his five children shared management of their lifetime interests together without legal incident). He also separately devised in his will the rights to timber on the land for trees in excess of twelve inches diameter, to his children to sell without sharing proceeds with the grandchildren. The landowner’s last surviving child, via a power of attorney held by her husband, contracted through a timber broker for the harvest of trees on part of the land, which were brokered to a buyer and afterward cut and sold. Sometime later, the landowner’s surviving child (preceded by her husband) passed. Upon her passing, the landowner’s grandchildren initiated a lawsuit against the timber broker and the timber buyer claiming the proceeds of the timber sale. The Settled Law on Lifetime Rights in Timber. North Carolina follows the common law rule that a life tenant is responsible for upkeep and maintenance of their life tenancy and shall commit no “waste” upon the property. “Waste” as descriptive term includes the depletion of timber resources on the land except for limited circumstances. Such limited circumstances permit a life tenant to harvest trees from the property for fuel and for construction of structures on the property. The sale of timber for money is considered waste unless the proceeds are used to “maintain” the life tenancy. Likewise, North Carolina follows the common law rule that rights in property – including standing timber – are severable. Therefore, such “waste” restrictions do not apply when a direct grant of an interest in timber is made (effectively “severing” the rights to the timber from the granting of the life estate). The Holding of the Court. The Court of Appeals held that because the landowner’s will had devised his children the rights to cut timber 12” in diameter, this amounted to a severance and absolute devise of the rights to cut such timber meeting that description, irrespective of the limits imposed by their life estate. Therefore, the the grandchildren had no claim on the monies received for the 12” diameter timber harvested and sold. They did, however, have a claim on the monies derived from the sale of the timber measuring less than 12” diameter at time of harvest. As to the timber buyer, the Court found him accountable for repayment of such monies, following the rule in North Carolina that a third party may be held liable when the timber harvest was not legally authorized. (The Court declined to apply the double damages standard under North Carolina’s timber trespass law because the timber buyer was lawfully upon the land and not a trespasser.) (The Court also held that the timber buyer could seek reimbursement from the surviving child’s estate for the damages it was being ordered to pay, given that the surviving child’s husband, had he not passed, would have been personally liable for erroneously exceeding his powers under the power of attorney by contracting the timber cut on the life estate.) As to the broker, the Court found the broker was not liable as he had relied in good faith on the power of attorney authority of the surviving child’s husband to make the contract and broker the sale to the buyer, and had otherwise proceeded with sufficient due diligence including advice of legal counsel. The Takeaway(s). This case is a modern re-affirmation of two principles, and underscores a best practice in transferring rights in timber coupled with land. First, a life tenant may not – except under limited circumstances – harvest timber on their life tenancy for the sole purpose of selling such timber, as such timber is considered an interest of the remaindermen. Second, the concept of the “bundle of sticks” – that rights in property are severable – is nicely reaffirmed by the finding that Mr. Burden’s will specifically granted rights in timber (of a certain description) irrespective of the grant of the life estate. (Again, trees that did not fit the description of the timber severance were subject to the waste rule applied to the life tenancy). Though less common in modern practice, landowners do from time to time by will devise life tenancies to lineal descendants, resulting in the situation presented by this case whereby the life tenant, though perhaps in need of income, may not harvest the mature trees on the land. More often, married couples may outright deed timberland to their children while retaining a life estate. It is important to remember that surviving spouses – often women – may live for many years hence and into a prime harvest period for timber on their land. For this reason, parents should always consider reserving the timber rights from the transfer for harvest by the surviving life tenant, so they have the freedom to harvest and use the income for their own needs.